Weber's Elo Touch-Screen Print Station provides a compact, simple solution to selecting various label formats and then printing them using Weber label printer-applicators or tabletop label printers in virtually any production environment. 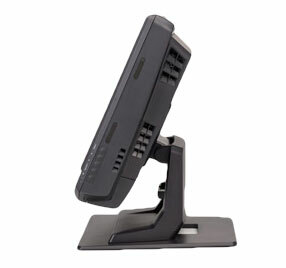 The Print Station is a stand-alone computer that allows you to set-up a control station for your labeling system that features a user-friendly touch-screen for easy operation by your personnel. 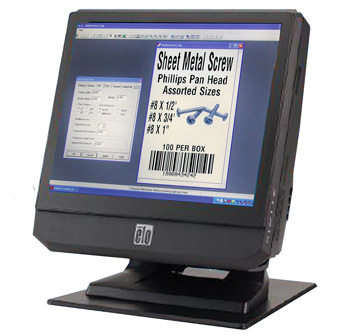 The 15" LCD print station comes preloaded with Weber's exclusive Legitronic® Labeling Software, a user- friendly package that makes it easy to format labels with alphanumeric text, bar codes and graphic images. In addition, the unit includes custom front-end software that permits operators to use the touch-screen to choose and print those formats. The Legitronic software program works in the background, enabling the operator to see a simple front-end screen to select a specific label format, choose a printing system, and pick the quantity of labels to be printed. Variable data – if required – can be entered into a label format by using an on-screen keyboard. Weber's touch-screen print station has a compact design with a choice of configuration and connectivity options. This quiet, fanless unit also is easy to service.